Our range of products include barcode labels, barcode ribbon, copier paper, offset printed cartons, pet strap and sticker paper. We are one of the topmost manufacturers and exporters of a wide range of supreme quality Barcode Labels. These products offered by us are manufactured as per the industry set standards by using advanced machinery. Offered by us at industry leading prices, these ribbons are widely used in packaging industries. These products can be customized as per the specifications provided by the customers. For our esteemed customers, we have introduced Barcode Ribbon to be used for various packaging needs. Designed using premium quality materials and latest technology, these ribbons are imparted with perfect finish, flexibility and high tearing strength. Used with a specified range of bar code printers, these products are available in various thicknesses, colors and lengths. We offer high quality Copier Paper to our valuable customers. These copier papers offered by us are manufactured from finest quality paper, which is procured from trusted and well-known vendors of the industry. Used in photocopier machines, these copier papers offered by us are known for their accurate dimensions, light weight and flawless finish. With our vast industry expertise, we are engaged in our profound business of offering Offset Printed Cartons. These cartons are designed at our workplace in accordance with the industry approved norms and thus, offer optimum protection to the packaged products. Offered range has gained huge appreciation in the market as offered in attractive designs & varied shapes & sizes. As capable of enabling safe handling of products, these cartons can be procured easily at cost-effective prices. 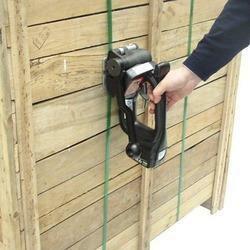 In order to meet the diversified requirements of our customers, we have introduced PET Strap. These straps are used as an excellent replacement of steel strap for securing heavy weight units and thus, have gained huge appreciation in the market. Customers can source these straps in two types such as high tensile straps for cotton bale packing and standard straps for industrial applications. 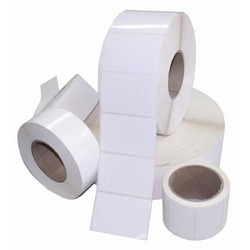 We are among the leading manufacturers, suppliers, importers and exporters of supreme quality Sticker Paper. 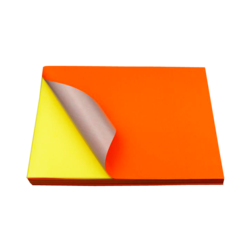 For the purpose of effectively barricading and isolating any important areas during construction work, these sticker papers are used. The best possible quality of the offered sticker papers is maintained at all times.